Vogue Paris November 1997, by Michael Thompson. Vogue US May 1999, by Steven Meisel. Vogue Korea and Vogue Taiwan June 1999. 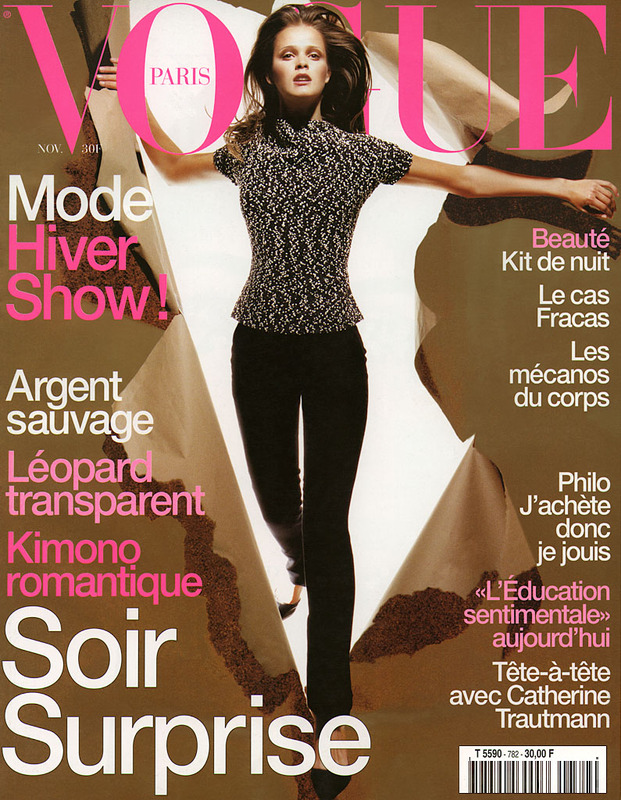 Vogue Paris October 1999, by Jean Baptiste Mondino. 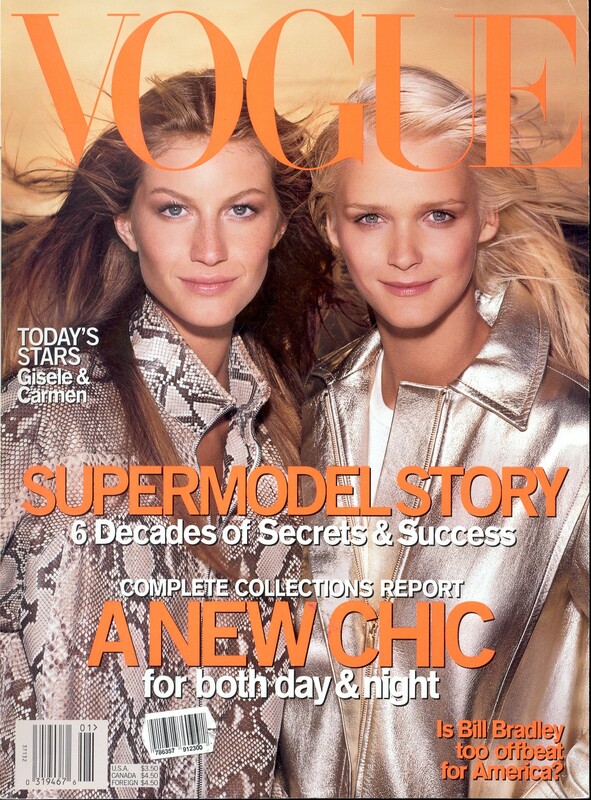 Gisele and Carmen by Steven Meisel for Vogue US January 2000. 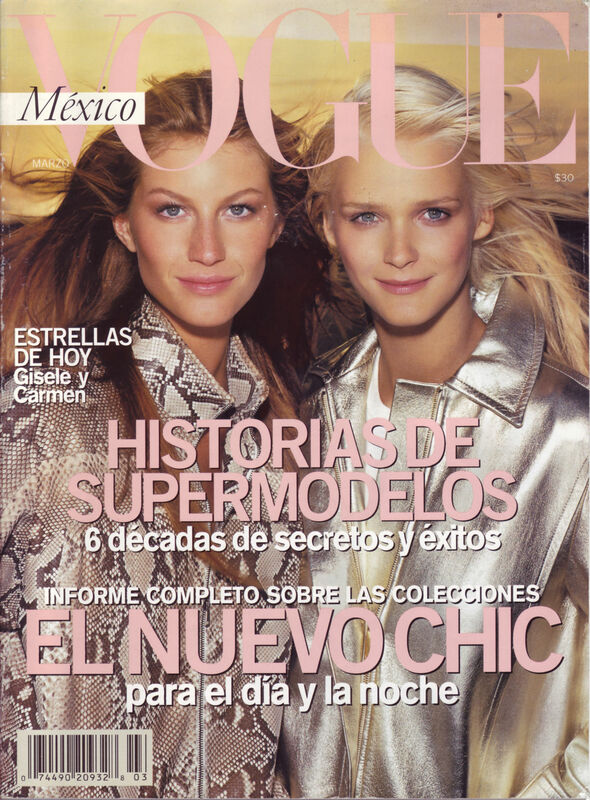 Vogue Mexico March and Vogue Australia May 2000. 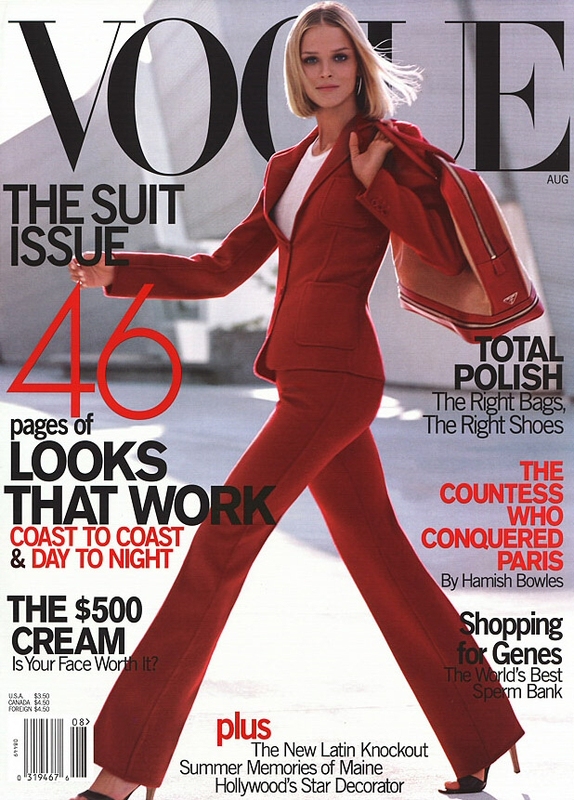 Vogue US August and Vogue Hellas September 2000, by Steven Meisel. Vogue US November 2000, by Annie Leibovitz. 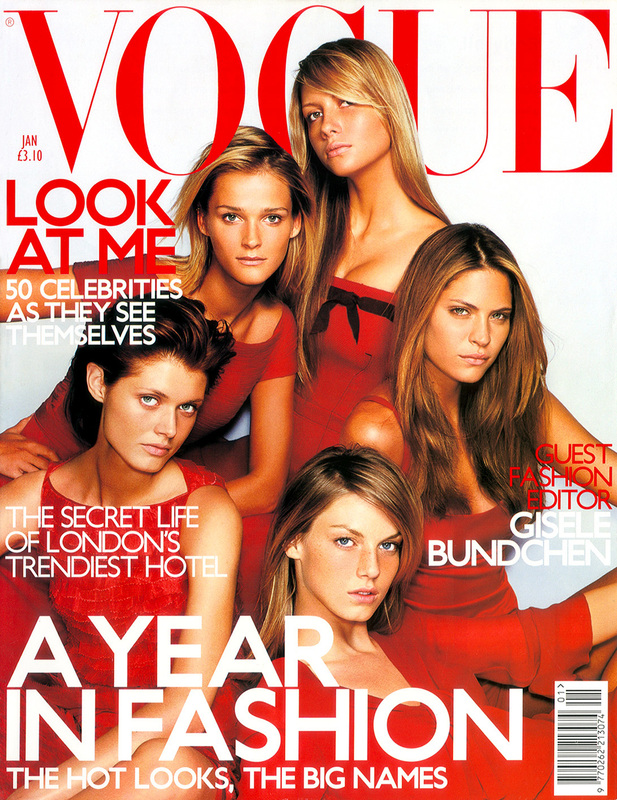 Vogue UK January 2001, by Mario Testino. Vogue Brazil March 2001, by Tom Munro. Vogue Mexico April 2001, by Steven Meisel. Vogue US May 2001, by Herb Ritts. Vogue Russia October and Vogue UK November 2001. Vogue Italia and Vogue Australia January 2002. Karolina and Carmen by Mario Testino for Vogue Russia May 2002. 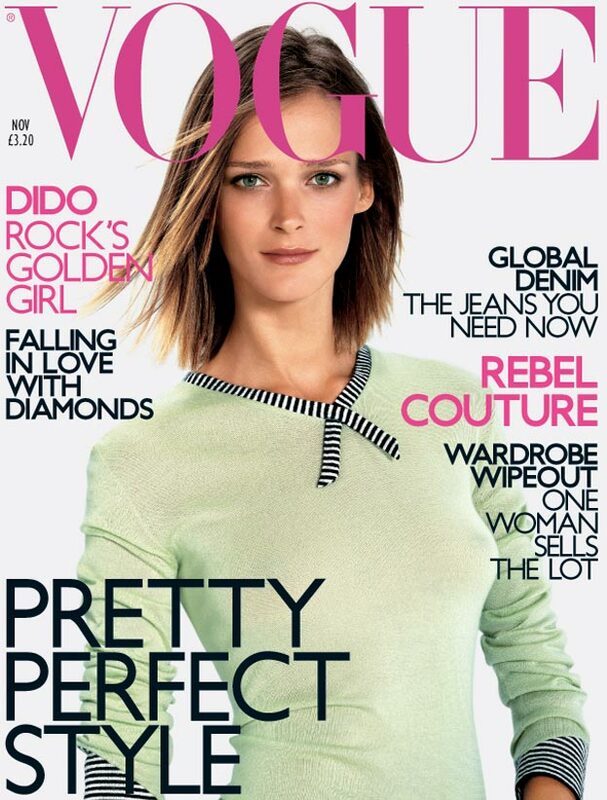 Vogue España and Vogue Australia May 2002. Vogue Nippon September 2002, by Craig McDean. Vogue Nippon April 2004, by Craig McDean. 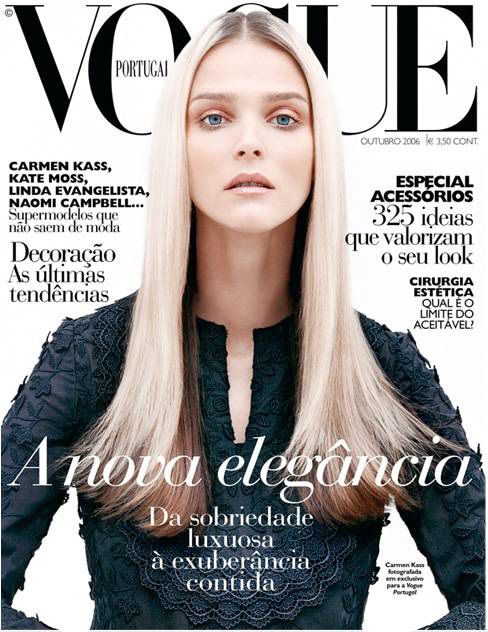 Vogue Portugal July and Vogue Deutsch December 2005. 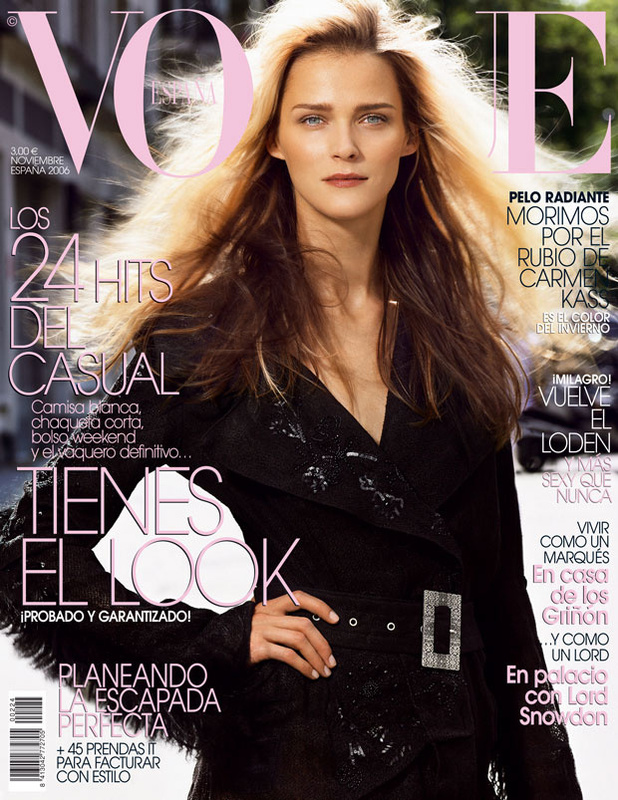 Vogue España January 2006, by Nicholas Moore. Vogue Hellas March 2006, by Craig McDean. Photographed by Marcin Tyszka for Vogue Portugal October 2006. 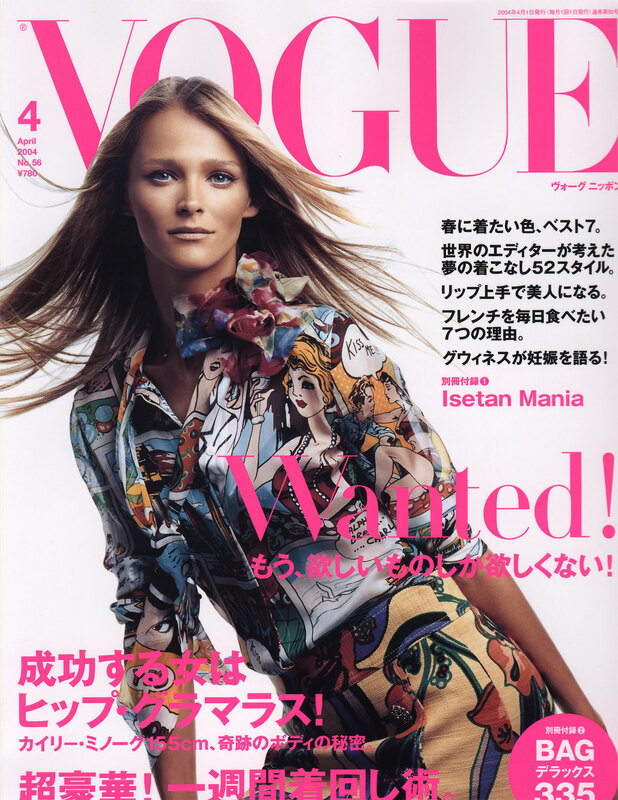 Vogue España November 2006, by Satoshi Saikusa. 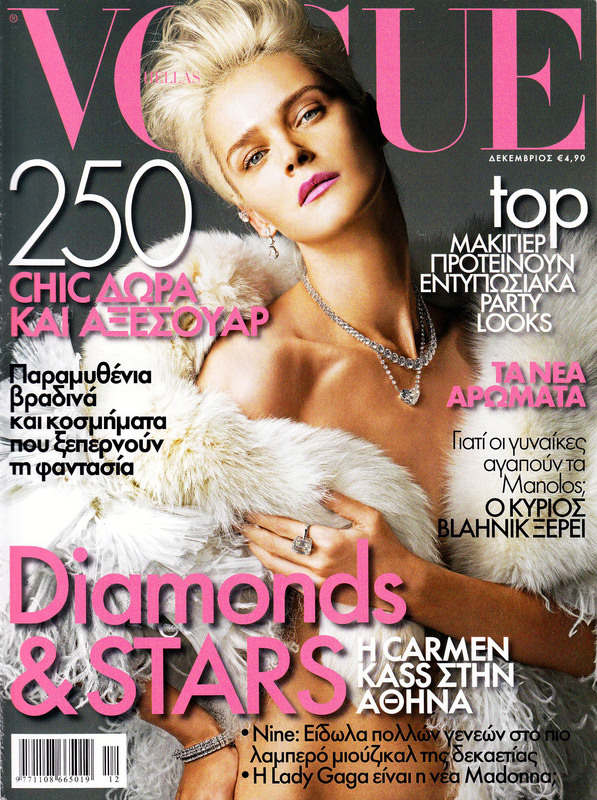 Vogue Hellas February 2009, by Kostas Avgoulis. 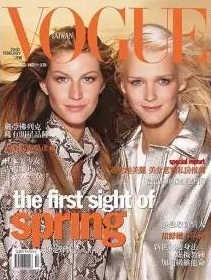 Vogue Russia April and Vogue España May 2009. Vogue Hellas December 2009, by Kostas Avgoulis. Vogue Mexico September 2012, by Koray Birand. Vogue Ukraine January 2015, by Jegor Zaika.